Phalla has been a teacher, school director and country-wide coordinator for the Education for Blind program in Cambodia for over 20 years. 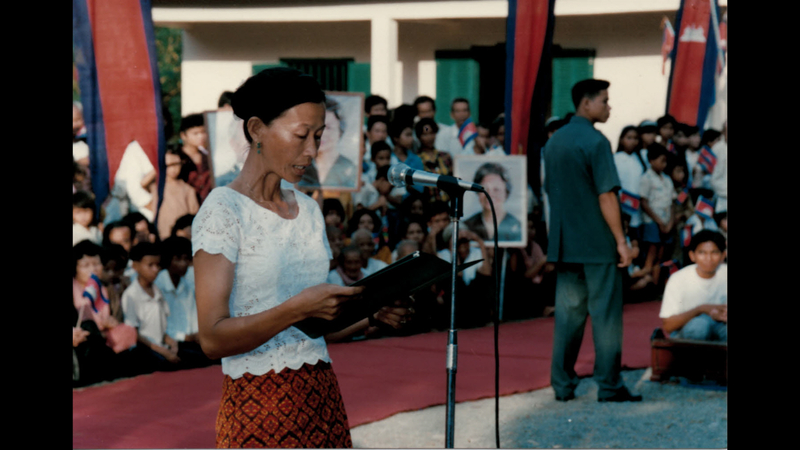 She began working with blind children in 1986 as a UN school director in a Thai refugee camp. 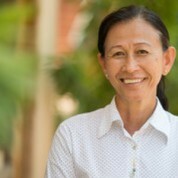 When she returned to Cambodia in 1991, she started working for the NGO Krousar Thmey and in 1993 became the first Braille teacher in the history of the country. She has contributed to the opening of the first schools for blind people in Cambodia and to the creation of the Khmer version of Braille. At the time most Cambodians believed that blind people were incapable of learning, had misbehaved in a past life and thus deserved isolation. In her teaching, Phalla has pioneered approaches to learning in modalities that are more natural for the blind. These emphasize the senses of touch and hearing rather than sight, and music is a central part of her curriculum. She aims to build learning through understanding, memory and confidence. She also gives priority to English lessons and computer skills (using screen reader software) to help prepare her pupils for life in a global world. Students in Krousar Thmey schools start learning English in the first year of primary school, while Cambodian students in public schools start in the first year of secondary school. Blind and low-vision students develop a strong sense of hearing and therefore tend to be especially talented at music and foreign languages. Because the Education for Blind program is implemented in partnership with the Ministry of Education, students are taught according to the national curriculum. The program has now expanded to 69 teachers and 250 children in 4 Krousar Thmey schools and 29 integrated classes in public schools across the country. Phalla proudly quotes that in 2014, 100% of her visually impaired secondary school students passed the national examination of baccalaureate. Phalla has supplemented her teaching activity with advocacy and campaigning. By giving children who were previously outcasts access to a quality education, her work has made a significant difference to the perception of blind people in Cambodian society over the years. If awarded the Prize, Phalla would use the funds to expand Krousar Thmey’s Education for Blind program. She would train more teachers, so that it can serve not just eleven but all 25 provinces of Cambodia, and buy more Braille printing machines. This would allow the program to print more literature books and create a dictionary in Braille. She would also establish connections with schools abroad and support the NGO’s Deaf Education program. "I love teaching because I like the idea of giving children the opportunity to choose their own destiny."